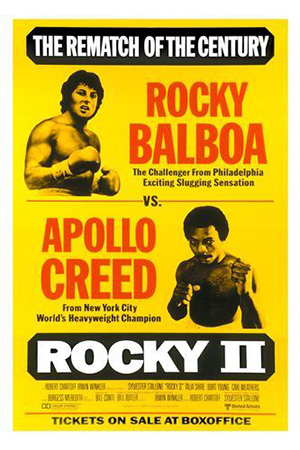 For nearly 40 years, Rocky Balboa has been a fixture in cinema. After six previous movies — all portrayed by the same actor — Creed puts Rocky in a unique niche within movie history. It’s also interesting to note 2015 marks the first time the Rocky, James Bond and Star Wars franchises each have a new movie released in the same year — and all within a matter of weeks each other. Harrison Ford has played Han Solo in four movies (and in one ill-conceived TV holiday special) during the course of 37 years (taking a lengthy 32-year break between Episode VI and Episode VII). As with Indy Jones between Last Crusade and Crystal Skull, the ravages of the real time lapsed between movies will be acknowledged in The Force Awakens. Ford has also played Indiana Jones in four movies (and in one TV episode) during the course of 27 years. The typical shelf life for a James Bond actor is around 10 years. Daniel Craig’s Bond is the first to have a broad character arc across movie installments and to acknowledge the effects of aging, changing technology and an unsettled world. Between 1974 and 2015, five actors have played James Bond.